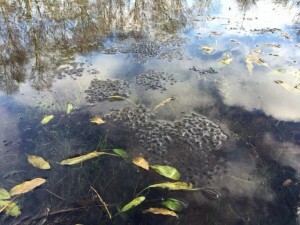 Betty Wright spotted big clumps of frog spawn in the old curling pond in Gearrchoille Wood. David reckons there may be as many as 13 separate clumps in this photo. Please let The Field Club know if you see local frog spawn in February or March.